National Conference Plant Sciences Network in Health and Environment on Oct. 30 to 31 2018. Overall Champion trophy for IIIrd Khalsa College Youth Festival 2018. 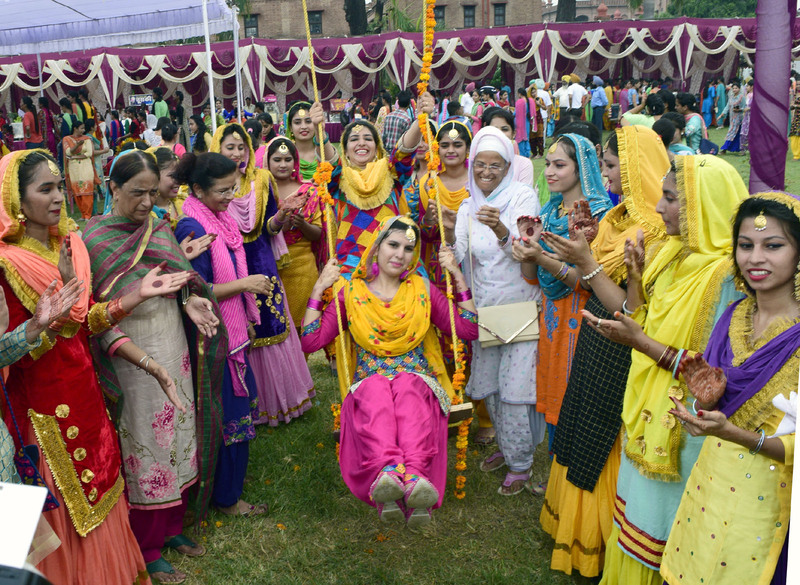 Teej Celebrated at Khalsa College Amritsar after a decade. The festival of `Tiyaan’ celebrated with fervor on August 13th, 2016. The festival of `Tiyaan’ was celebrated with much fervor and festivity at historic Khalsa College here today. 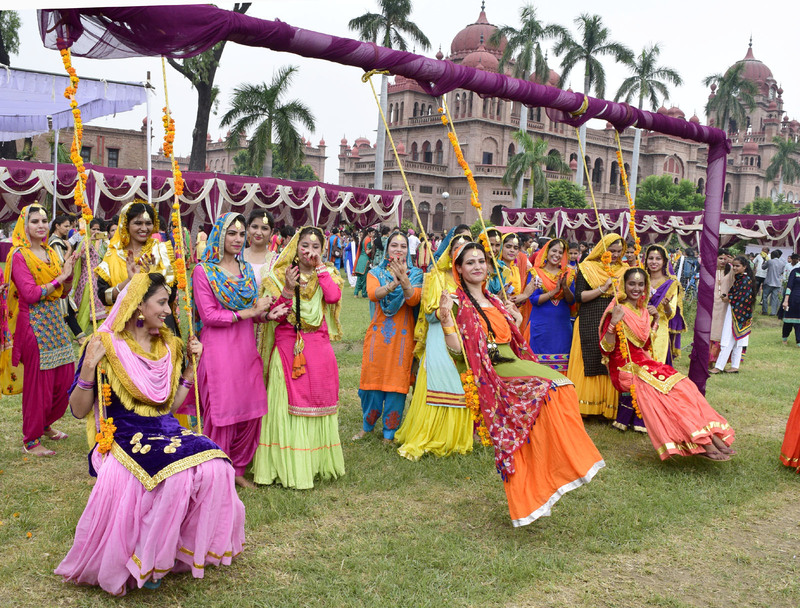 The students especially girls resorted to traditional Punjabi dance, music apart from eating delicacies and enjoying swings and merry-go-around installed at the College’s ground which was abuzz by the colourful activities throughout the day. Clad in traditional dresses, the students were joined by faculty members recited folk songs, especially `Boliyaan’ and performed Gidda and Bhangra to the excitement of one and all. The festival is celebrated to welcome the rainy season of `Saavan’, said Principal Dr. Mehal Singh adding that he takes pride in the fact that 124 years old college has more girl students than the boys. The major attractions were the beats of the Dhols, Swings and Punjabi delicacies apart from the blend of modern pop Punjabi music songs with the traditions during the festival. ``It is a festival of happiness and good times. The girls had always faced discrimination and the festival speaks loud of the rising girl power and protection of their rights in the modern society’’, said the Principal. Simran Kaur, a student said that they saw the festival being celebrated at such a large scale for the first time and they were cheered by the moment. Another student Baljit said that such festivals not only make them happy to cheer in the traditional styles but also gives message of the emancipation of women in the society. Designed By : Akaal WebSoft Pvt. Ltd.